Graphs at a glance : Osborne renames the National Minimum Wage to the National Living Wage? The minimum wage is a matter of legislation. The living wage is a matter of opinion. How much is a "Living Wage"? 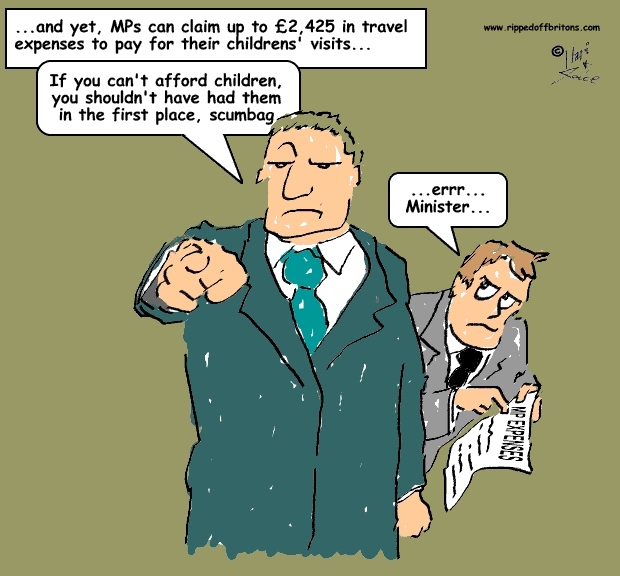 MPs salivating at their 2015 pay increase bleat that they can't live on £67k a year. Few (if any) MPs say they do the job for the money, public service being their declared incentive. But apparently they need an extra 10%, lifting their basic salary to £74k in 2015, to 'live on'. MPs need £74k per year, but George Osborne has decided for the rest of the nation the "National Living Wage" is about £15k per year (£7.20 an hour). "In 2008, families with children came close to MIS if they worked full-time on the NMW, but are now 15 per cent short. For single people, the shortfall has grown from 15 to 30 per cent, or by £27 per week (2015 prices)." George Osborne introduced the pretence in his 2015 Summer Budget when he renamed the National Minimum Wage for over 25 year olds the "National Living Wage". Though he ignored the existing "Living Wage" calculated by the Living Wage Foundation to be, for 2014, £9.15 per hour in London and £7.85 per hour in the rest of the UK. Osborne did provide a large percentage rise in the minimum wage for over 25s, from £6.50 to £7.20. But he polluted this good deed with his fatuous name-change in order to provide a smokescreen for the Tax Credit cuts. 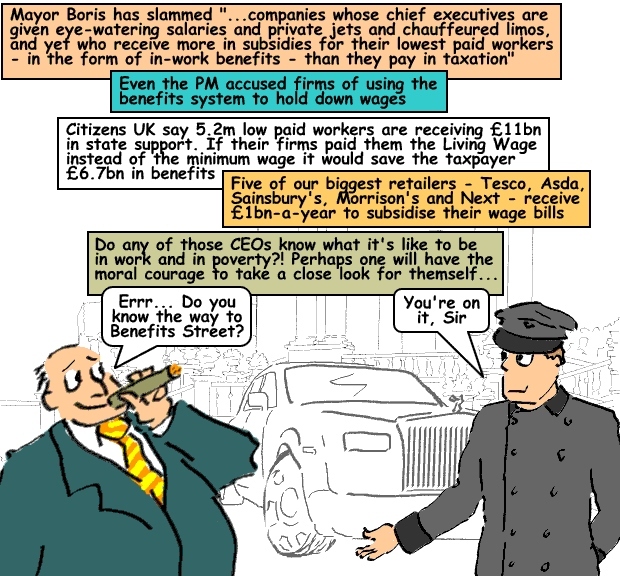 "Why", Osborne could assert, "would someone on a Living Wage need Tax Credits? After all" he could continue, "they can live on a Living Wage, the clue is in the name!". George may have messianic aspirations, but feeding thousands with five loaves and two fish is out of his league. By any other name would smell as sweet". The minimum wage by any other name still stinks. What is very positive is a Tory chancellor explicitly acknowledging that a large chunk of 'benefits' in the form of Tax Credits has actually been a subsidy to low paying businesses. The real question, is there anything wrong with this subsidy? According to a report by the CIPD (Chartered Institute of Personnel and Development) for half the firms in the Private Sector the most important driver setting wages is what they can afford, "Ability to pay". The other half pay the "Market Rate", i.e. what they can get away with. A report by the Low Pay Commission shows in 2014 nearly half (47.7%) of all Minimum Wage jobs are with Large firms (though they make up less than 4% of all large firms' jobs). While 12.2% of jobs with Micro firms were on Minimum Wage. [Micro Firms have fewer than 10 employees; Small Firms have 10-49 employees; Medium Firms have 50-249 employees; Large Firms have more than 250 employees]. For many reasons, social and economic, it is better for people to be in a low paid job topped up with "in-work benefits" than for them to be unemployed and completely reliant on unemployment benefits. Those billions go straight to the companies. 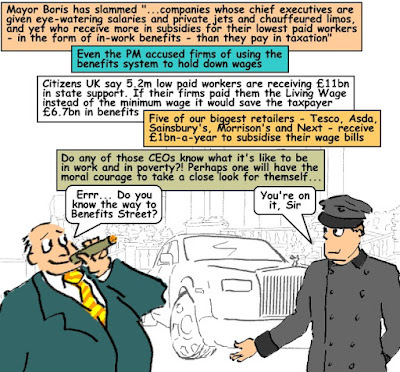 Tax Credits, though a subsidy to companies, goes straight to the low paid. It's difficult to know which firms pay low because that's the best they can manage, and which choose to pocket profits rightly due to their low paid staff because they can get away with it. 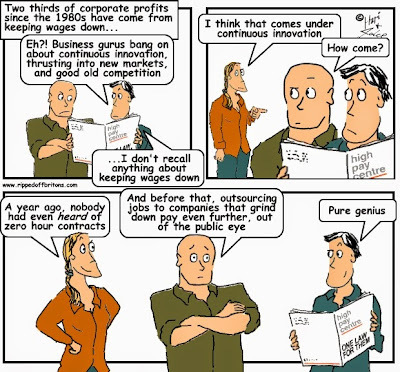 Did Osborne take away Tax Credits to shame low paying firms into paying better? (Is the reason he cut the number of police to shame crooks into not mugging people?). This will have no effect on the firms with no shame, and will drive the ones paying what they can afford out of business. If Osborne truly intended Britain to get a payrise he should continue topping up low wages, but make firms declare how much subsidy they receive for their staff to get a living wage.